What is the weight limitation for cabin baggage on Air Niugini flights? Cabin baggage is limited to 7kgs (13lbs) per person. What are the baggage allowances on Air Niugini’s international and domestic flights? Do scuba divers get special baggage allowance? International passengers who travel to a domestic port in direct transit on the same day they arrive in Papua New Guinea will be entitled to an international baggage allowance for their entire journey. Are there any other special fares available for international visitors? Air Niugini offers a range of domestic discounts from 20% to 50% depending on the international fare purchased and whether tour arrangements with recognised tour operators have been booked. Travel must be exclusively on Air Niugini. For further information on international and domestic airfares, contact your nearest Air Niugini office or General Sales Agent. Who do I speak to about special dietary requirements or special handling requirements? 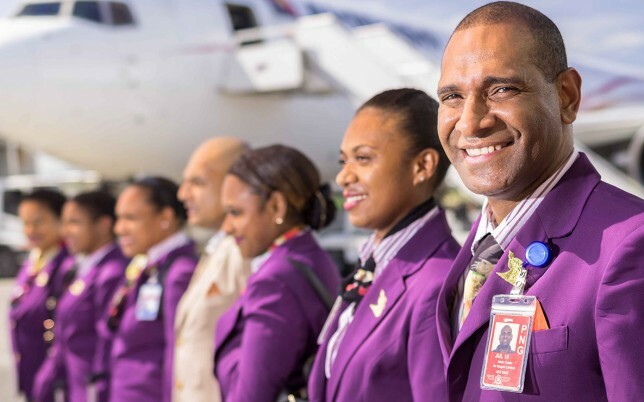 Please let your booking agent know if you have any special requirements when you make your booking so that they can contact Air Niugini’s special handling team.